Declutter- If your bathroom is overflowing with makeup, perfumes, hair gels and other things, it is time to tuck them into cabinets. Keep only those items outside that you use every day. Place the rest of your toiletries neatly inside your cabinets or wardrobes out of sight. Decluttering and organising will instantly give your bathroom a new look! Storage- Want to create more storage space in your bathroom? IKEA’s here to the rescue. Invest in shelves, hooks, hangers, baskets, towel rails, etc. These will take away all the clutter lying around in the bathroom. Organise your things over these shelves and hangers neatly. Can you imagine the change these small additions can make to your bathroom? Colour scheme- Don’t have a mixed bag of colours all over your bathroom. Follow a single or dual-tone colour scheme throughout your bathroom. You can use the same colour of linen, mats, candles, soap dish, etc. Bring nature inside- You can place a potted plant or some fresh flowers in a vase to add some life to your bathroom. Add character to walls- You can place some quirky artwork and frames to plain walls to add some style and character. IKEA has a variety of frames for this purpose. Light fixtures- Changing the lights can change the look and feel of a room completely. So, you can add a few accent lights to breathe life into your bathroom. Candles and scents- To get the ultimate spa-like feel in the comfort of your home, invest in a few candles and fragrances and complete your bathroom makeover. IKEA is known for its rejuvenating scented candles. So, with just a little bit of cash and a few hours of your time, you can turn your bathroom from boring to beautiful! 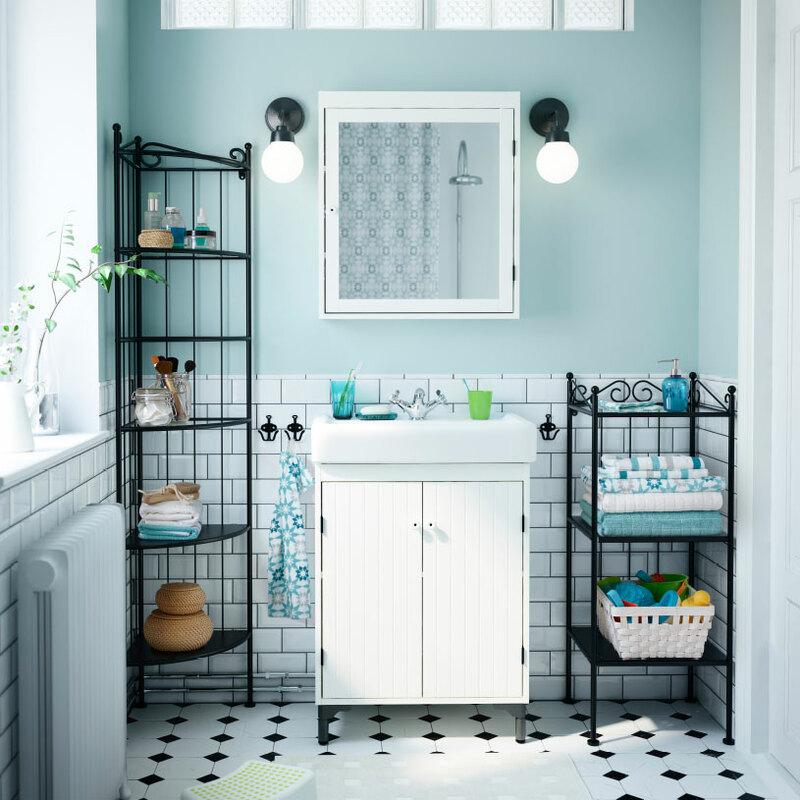 Make the most of IKEA’s part-sale while it’s on and give your bathroom a much-needed makeover!